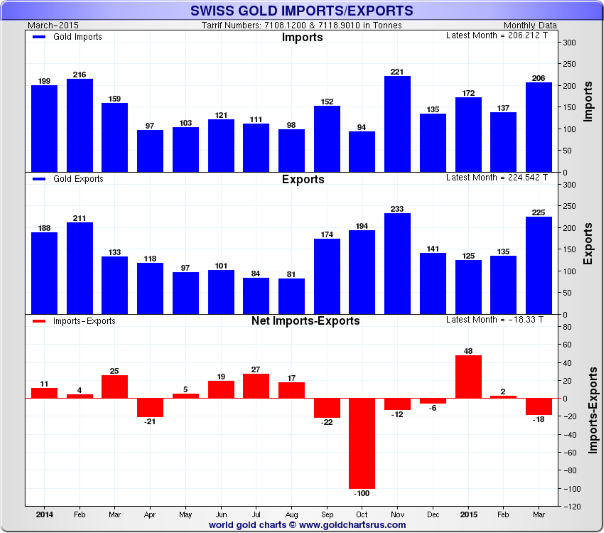 Between them China and India and Singapore - who imported almost 29 tonnes from Switzerland - imported almost 150 tonnes of the 223.3 tonne total of gold exported from Switzerland in March which Bloomberg said are “the highest since at least 2013”. While sentiment towards gold in the West is abysmal - even as gold languishes at record lows when adjusted for inflation - Asian demand remains insatiable. 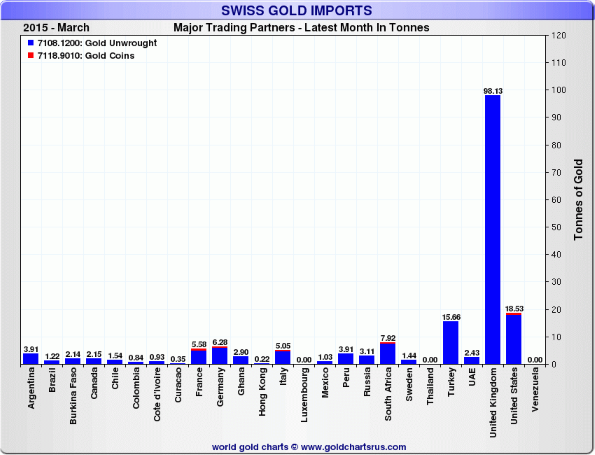 This is unfair to gold buyers in Asia - many of whom have experience of currency devaluation and therefore opt to own gold as a savings mechanism and a superior store of value. However irrational holding gold may appear, the alternative - holding paper currencies which are continually being devalued through QE and inflation in various sectors of the economy - is even more irrational. “It is unlikely that the Ernst & Young review will recommend moving the existing business from OTC to an exchange, given a move would increase costs for OTC clients and diminish liquidity,” Crowell said by phone on Monday. “We have also had a lot of changes happening in the market. 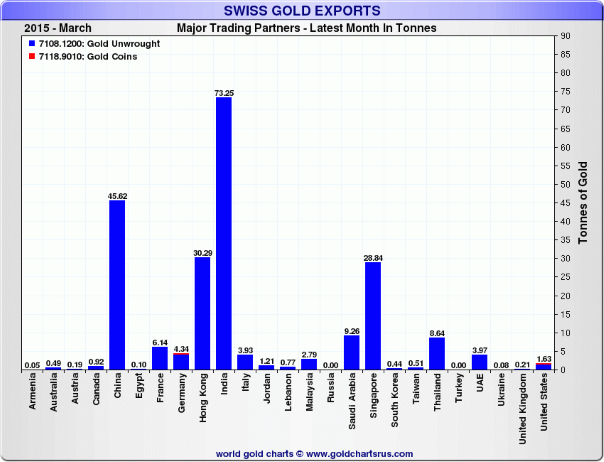 Recently, the market has needed a lot more from the LBMA …”. Gold fell 1.35 percent or $16.10 and closed at $1,178.60 an ounce Friday, while silver slipped 1.07 percent or $0.17 closing at $15.72 an ounce. Gold and silver both fell for the week - down 2.15 percent and 3.32 percent respectively. Spot gold in Singapore was up 0.1 percent to $1,180 an ounce by end of day trading and gold continued to eke ouit meager gains in dollars in London trading - and had better gains in euros and particularly sterling due to UK election jitters. Investors will be cautious due to the Greek default risk and the U.S. FOMC meeting that begins tomorrow. 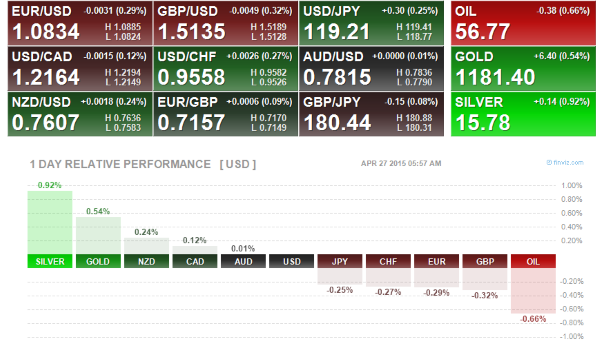 This has impacted European stock markets this morning which are seeing losses. Greek bond yields edged higher today as investors reacted to fruitless debt relief talks between eurozone finance ministers on Friday which only served to highlight the gulf between Greece and its creditors. No deal was reached between the Eurozone finance ministers and Greece after meetings on Friday. On Saturday, Wolfgang Schaeuble hinted that Berlin was preparing for a possible Greek default. This week local Greek governments are scouring for cash in order to help pay out its pensioners and employees, while households and businesses withdrew 1.3 billion in another run on Greek banks last week. Germany’s Bild newspaper reported today that Tsipras asked Merkel to convene an emergency European Union leaders’ summit. Yesterday, Bloomberg reported that Greek Prime Minister Alexis Tsipras held a call with German Chancellor Angela Merkel and Eurogroup President Jeroen Dijsselbloem to discuss progress in negotiations, said a government source from Athens. Greece is still hanging onto its membership in the Eurozone by its fingertips but we are nearing the end of the saga. 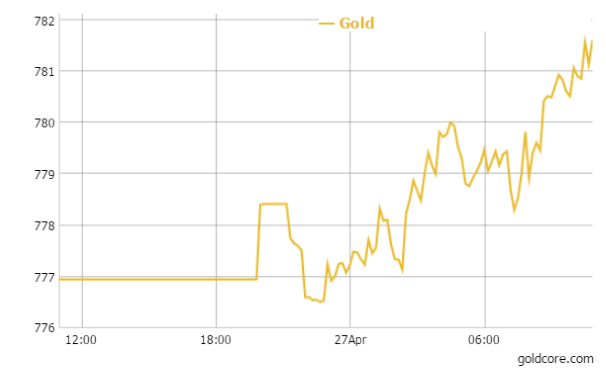 Gold in late morning European trading is up 0.30% or $1,183.78 an ounce. Silver is up 0.69 percent at $15.83 an ounce and platinum is also up 0.02 percent at $1,120.00 an ounce.